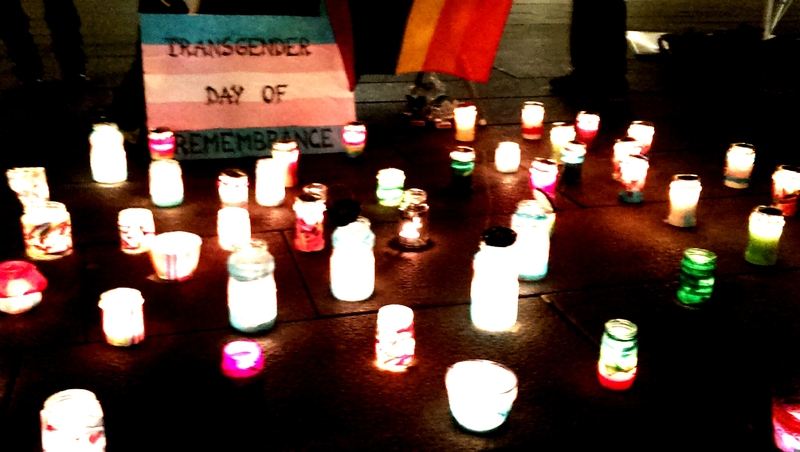 Transgender Day of Rememberance | All you need to know. Today it is the Transgender Day of Remembrance. 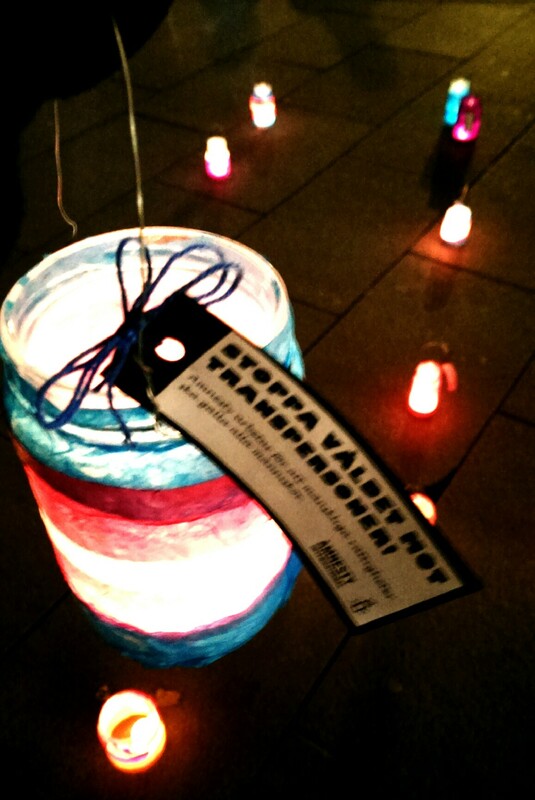 TDoR occurs annually on 20th of November. It is a day to memorialise those who have been killed as a result of transphobia, to protest against the oppression, fear and hatred of transgender and intergenderd people. 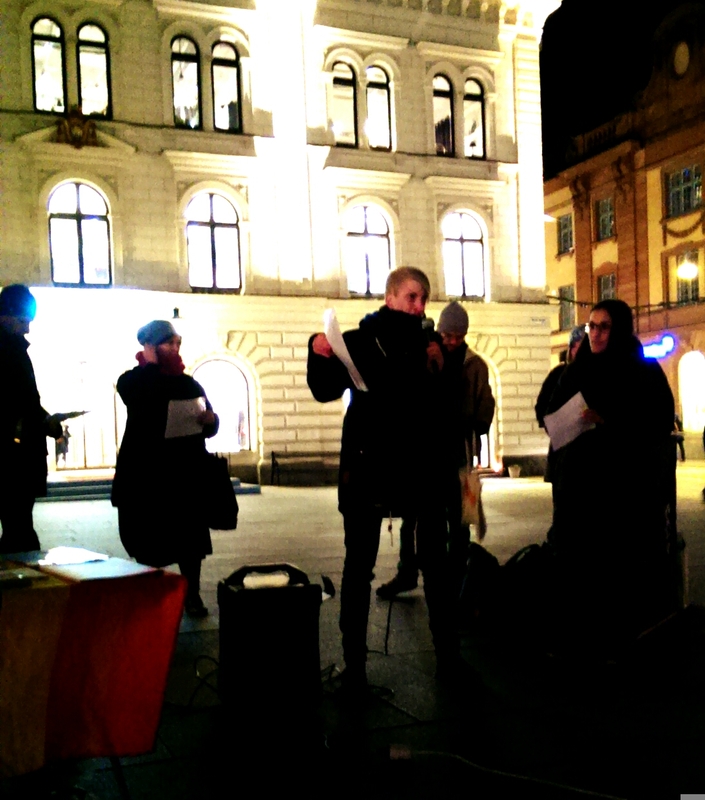 My friends in RFSL Uppsala and Amnesty International arranged a manifestation in central Uppsala tonight with live music, a local trans-inclusive choire and Kian from TransForm as speaker. Just like last year, the streets sparkled with beautiful handmade candlelights in the colours of the pride- and transgender flags. 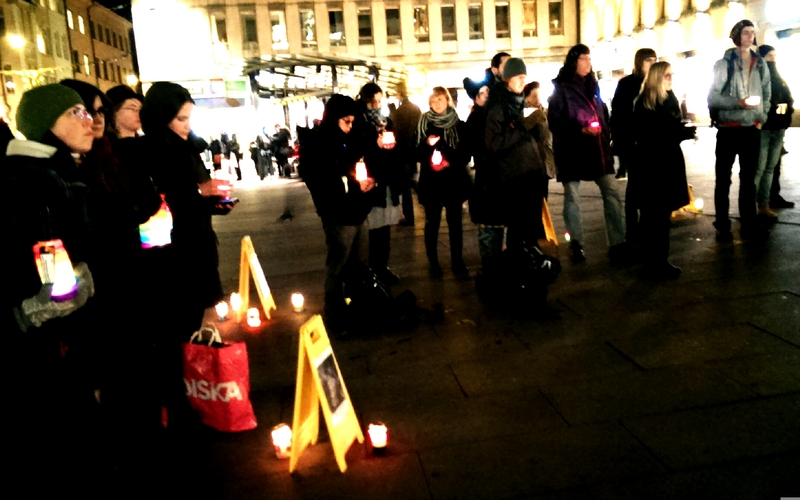 Among the candles were pictures of some of the transgenderd people who suffered from hate crime. 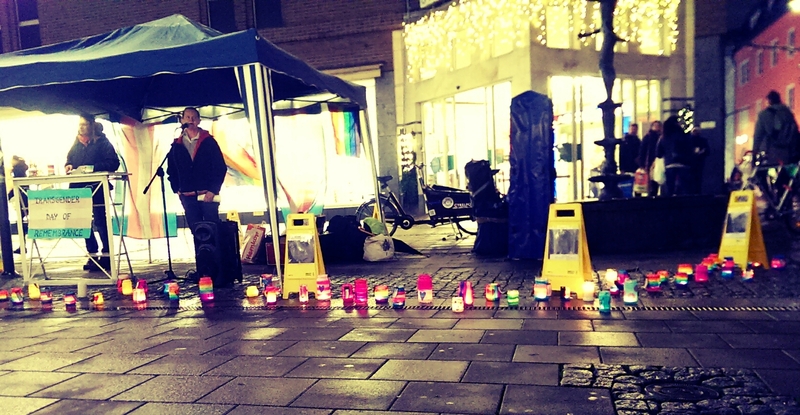 We had a silent minute to honour them and the crew behind the event handed out colourful candlelights for the bystanders to hold on to and after the ceremony, to bring with them home. Unlike last year, I was only there to listen as a bystander, to show my support. 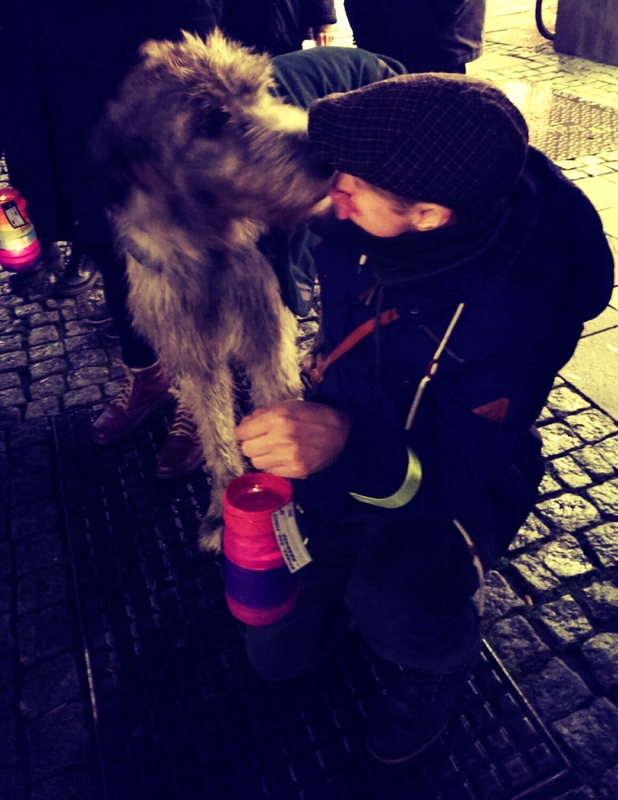 But I was not alone.